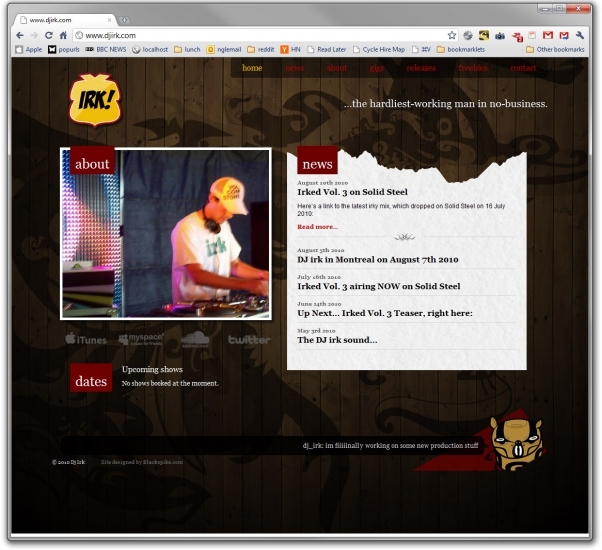 We met DJ Irk earlier this year in Chamonix, a great party DJ as well as a top snowboarder, he asked me if we could redesign his site. We both redesigned it and recoded it, this time as a custom WordPress theme. It uses fantastic artwork from DocVek (who’s website we also built!) as a background, and provides a blog, a gig list feature as well as audio hosting via soundcloud. Be sure to check out his freebies page for some dope mixes.